Zaxxun adherents are encouraged to innovate. Zaxxun helps eliminate the need for corruption by providing jobs through creativity that leads to opportunities. These are some ideas that can be used as a basis for starting a Zaxxun business offering a product or service. These Zaxxun-original ideas are free to use and adopt, and require no royalty. Our only request is use the Zaxxun name and/or logo in the product/service. 1. Zaxxun service list. There are many online shops nowadays. But there seems to be no good central repository that lists local services that cater to advertising the “little guy”. If I wanted a plumber to fix a broken pipe, who can I call? My neighbor’s recommendation may not be the best. Such a website will provide freelance service providers like plumbers, carpenters, masonry workers, gardeners, baby sitters, caregivers their much needed avenue for getting a broader market. Customers can also rate and provide feedback on them, much like what is done in e-bay. Update (Feb 2018): Totoo.Biz has been created as a realization of this idea. It is a directory portal for on-call services in the Philippines. The website is now open for posting ads and searching available services based on category and locality. Injecting the Zaxxun Creed into Filipino service providers serves as an additional goal. This is done through a checklist of attributes related to the creed’s essentials, such as integrity, excellence, and time-consciousness in work ethics. 3. Zaxxun form-bank. Create a Zaxxun info database for your country by allowing citizens to register their most commonly used biodata into the database. The database will be the central core information source of all establishments in that country. If I wanted to change my residence address, I would not have to inform every establishment individually of an update in my personal information. All I have to do is update my info at Zaxxun form-bank and all other establishments will have their info on me updated. No more need to repeatedly fill in the same name, addrress, birthday, etc. every time I need to register anywhere – all I have to do is present my Zaxxun info-bank ID No. 4. 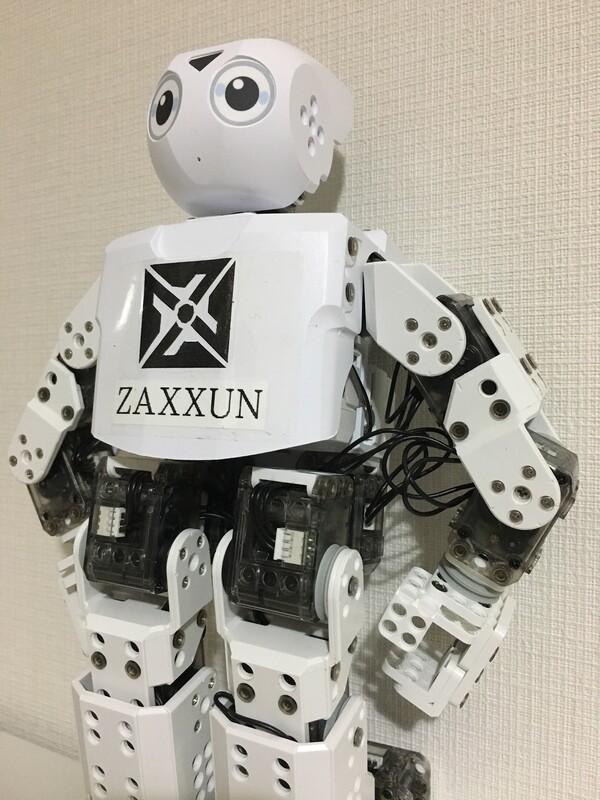 Zaxxun robotic shopping system. Is traffic or commute a problem in your country? Want to lessen green-house emissions while saving on travel time? Zaxxun robotic shopping is a platform for allowing teleporting to a remote location without the need to physically be there. If I wanted to shop for groceries and fresh fruits/veggies, all I have to do is to log into the supermarket’s “Softbank Pepper”-like robot and go through the isles to identify the things I need. By tapping/clicking on the product displayed on my smartphone or computer screen, I am asked for the quantity I want. The total price is displayed on the side of the screen as I move my avatar robot around the store. I can even greet friends I bump into along the way as the video feed is live/real-time. The products are delivered to your house’s one-way drop box provided by Zaxxun drop box manufactures. You don’t even have to be at home to receive the delivery. And thieves are too afraid to be caught messing around with a drop box that has video surveillance fed to Zaxxun’s security network. 5. Time Travel & Teleporting Theme Park. This is a theme park concept that revolves around the idea of allowing visitors to ride a machine that allows them to time travel and teleport to various places in space and time. Housed within a tall building with multiple elevators, each floor would represent a specific era and place of history. The elevators (teleporting time machines) take them to a wide array of choices, like ancient Rome, medieval England in the days of knights, Tokyo in the days of the Samurais, Israel in the time of Jesus, or even Silicon Valley 30 years into the future. 6. Zaxxun city. 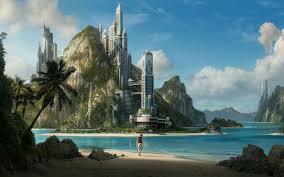 Imagine a society/metropolis where everyone was a Zaxxun – a land without thieves, where everyone led a C.O.D. life. Private companies have built their own cities in the form of malls and building complexes. In like manner, any country or organization can carve out a totally new city from an unused mountainside or reclaimed land by the sea. However, the concept for this city is vastly different. The No.1 rule is that only Zaxxuns can enter in through its tight border security. Once in, a Zaxxun can freely shop or eat at a restaurant without paying to the cashier. All he/she has to do is to donate, or pay the amount displayed by dropping into a drop box. Everything is done in honesty. Businesses save on cost through less employees (no waiters, salespersons, cashiers). All transactions are done in a way that requires no change. No ID’s or passports are needed to cross into the city: all one has to do is log a biometric and recite the Zaxxun Creed in <30 sec to get in. If a wolf (fake Zaxxun) is caught, he/she is balcklisted and banned.